Rome, October 10, 2017 (CIC, kath.ch) Cardinal Kurt Koch (67), former Bishop of Basel, has been the President of the Pontifical Council for Promoting Christian Unity since July 1, 2010. In an interview with the Catholic news agency CIC in Rome he reviews the year commemorating the Reformation, tells why it is also called a festival of Christ, and takes a look at the ecumenical future. Your Eminence, the commemoration or jubilee year celebrating “500 years of the Reformation” is drawing to a close. How do you personally assess it? 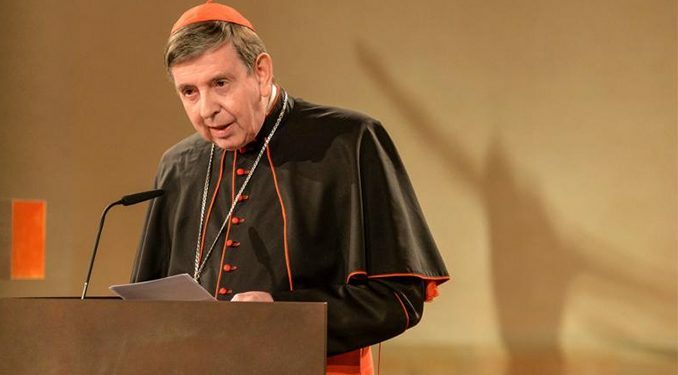 Cardinal Koch: One very positive feature is that it was a joint commemoration with very few polemical notes, which there have often been in the past. Then the concentration on what we have in common, in that it was decided in Germany to celebrate the commemoration of the Reformation as a festival of Christ. That was, in my estimation, the best ecumenical idea. Was the festival of Christ successful? Koch: Over the course of the ten years of preparation it did improve. At the outset I had something of the impression that it was all about Luther. But then, in the commemorative year itself, it had more to do with what unites us above all: faith in Jesus Christ. You took part in Reformation commemorations in different countries. What different emphases did you experience? Koch: Different kinds, because the Reformation took place not only in Germany. The Reformation in Switzerland was different from the one in Germany. It was different again in the northern lands, where the Reformation was not a popular movement, but a decision of the civil government. For me the high point was in Lund, Sweden, on October 31, 2016, where Pope Francis and the President and General Secretary of the Lutheran World Federation presided together at the Lutheran-Catholic Commemoration of the Reformation. That was a powerful ecumenical sign. 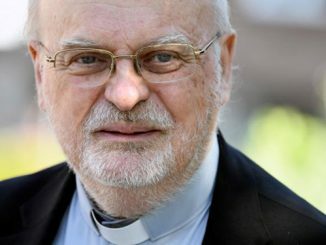 The Archbishop of Cologne, Cardinal Woelki, recently criticized the state of ecumenism: To interpret fundamental differences simply as “mutually enriching dimensions” is “false advertising”. Do you agree with this assessment? Koch: In the commemoration of the Reformation the emphasis was above all on what we have in common; but open questions still remain, as before. I myself made the suggestion that, following the Joint Declaration on the Doctrine of Justification, we should set out now toward a new Joint Declaration on the Church, the Eucharist, and ministry. I am grateful that this inititative was positively received in various quarters. The American dialog between Lutherans and Catholics has already published a document on this subject – and today I found on my desk a new voluminous paper from Finland. In addition to the themes of Church, Eucharist, and ministry there are the ethical questions into which we should delve more deeply in the ecumenical dialogues, in order to develop a more concerted view on these issues too. Those are precisely the issues that Cardinal Woelki too addresses. Could we sum up the state of ecumenism pointedly by saying: We agree about God, but about not the Church? Koch: I would formulate it more theologically, more biblically: We agree about Christ, but we do not yet agree about his Body, namely the Church. The two belong inseparably together, since Christ wills to be and is present in his Body. But the relation between Christ and his Body is still an open question. One major obtacle to ecumenism that is often mentioned is that the Protestant and Catholic sides have no common idea of the goal of ecumenism. How would you formulate that goal? Koch: That is in fact the main problem. We have reached consensus on many questions of faith, but not yet about what the goal is. Without a common goal it is difficult to consider at a given moment the next step along the way. The problem is that the same term is used today on both sides, but in a different sense. Koch: Yes. For many Lutheran Christians, I hear, this means the following description of the current situation: We are already reconciled, but we remain separated and should just reciprocally recognize each other as Church too; then the goal would be reached. 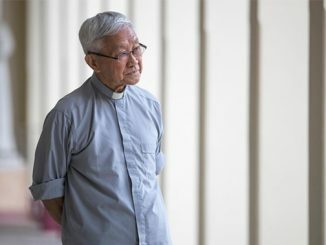 In the Catholic view, “reconciled diversity” is a definition of the goal: we must work on the questions that are still open, so that they are no longer a cause of division between the churches. When they are reconciled, the differences can certainly remain. In Catholic tradition we are acquainted with the influence of the liturgy and of the practice of faith on the development of doctrine: for instance, the formula for baptism and the doctrine of the Trinity, veneration of Mary and Marian dogmas. Is there anything similar in ecumenism? Koch: Consensus in questions of faith and the life of faith in one’s everyday routine and in the liturgy belong together in an ecumenical respect too. The more people live and celebrate the faith together, the more they come to common insights into the faith also. The important thing above all in this is that you do not separate the two realities, in keeping with the motto: The decisive thing is what we live, and not what is in the creed. Koch: It seems to be so at first glance. For in the free-church and especially the Pentecostal movements (Pentecostalism), we find great growth. Pentecostalism is today the second largest Christian entity after the Roman Catholic Church. One could speak of a Pentecostalization of Christianity or of a fourth form of Christianity: Catholic, Orthodox, Protestant, and now Pentecostal. I do not think, though, that these movements will become the sole form of Christianity in the future. For they also feed on the historic large churches and cannot simply replace them. What from this movement could be stimulating for the Catholic Church? Koch:For the Pentecostal churches, the concrete experience of faith in everyday life and, above all, faith in the working of the Holy Spirit are central. This certainly cannot be said of the Western tradition in the same sense; we do not suffer from pneumatological over-nourishment in our conventional tradition. In this respect we could learn quite a bit from the Pentecostal movements. Koch: Yes, enthusiasm in the original sense of life in the presence of the Holy Spirit. Closely connected with this is the fact that faith and workday are not separate worlds, that faith is instead embedded in everyday life. In recent years there has often been talk about an ecumenism of the martyrs. Christians are persecuted, killed regardless of their confession. Where have you experienced this in a particularly forceful way? Koch:The ecumenism of the martyrs is for me the most central challenge of ecumenism, especially since eighty per cent of all persons who persecuted for their faith today are Christians. The ecumenism of the martyrs was already an important theme for Pope John Paul II, who had learned during the Brown and Red [i.e. Nazi and Communist] dictatorship that we Christians belong together. Koch: There were two important events that have helped a lot ecumenically. One was the ecumenical Service on April 1, at which 500 years of Reformation and at the same time the 600th birthday of Nicholas of Flue were recalled, and at which the President of the Federation of the Swiss Protestant Churches, Pastor Gottfried Locher, and Bishop Felix Gmür von Basel presided. In late September, I myself was likewise at an ecumenical worship service with Pastor Locher in Sachseln. Both events made it clear that Nicholas of Flue does not stand between the denominations but rather connects and unites them. Nicholas of Flue was after all a pre-Reformation figure, and his basic concern, finding peace in God, is an ecumenical theme. The Reformer Huldrych Zwingli, for example, appreciated “Brother Klaus” not only because of his political effectiveness, but also on account of his witness to the faith. In conclusion, a look in the other direction. Where do you observe the most ecumenical movement in the case of the Orthodox and the Eastern Church? Koch: At the beginning of September, on the Greek island of Leros, we planned the further dialogue between Orthodoxy and the Catholic Church. As the main theme, we picked: “On the way to unity in faith: theological and canonical questions”. We identified as the first question that will be discussed in it the question of primacy and synodality in the second millennium and today. In this larger context then the problem of Uniatism will be treated. In dialogue with the Eastern-Orthodox Churches, we are currently discussing the sacraments, especially the sacraments of initiation. 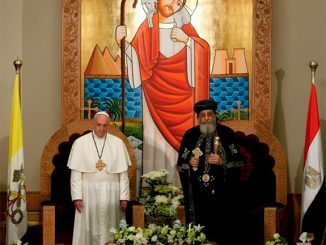 Where, besides the theological dialogue, is there a rather strong ecumenical coexistence? Koch:Whenever you hear talk of ecumenism, you immediately think of theological dialogue. This is important, but ecumenism is acquainted with different areas. During the visit of the Russian Orthodox Metropolitan Hilarion in late September, we discussed several common projects such as exhibitions, the exchange of religious objects, as well as concerts. This cultural ecumenism is very important, especially since in the past East and West separated not so much for theological but for cultural reasons. It is therefore a good idea to approach each other again on the cultural scene –last December, for example, at a joint concert of the Moscow Patriarchal Choir and the Sistine Choir in Rome. Or think of the relics of Saint Nicholas, which for two months were brought from Bari to Russia, where 2.5 million believers venerated them. This ecumenism of the saints is a good way to involve the faithful in the ecumenical movement as well. It is certainly beautiful when the heads of different churches meet. For the future, however, it is crucial that the faithful be able to participate in these ecumenical developments. Or maybe Latins could learn from the Eastern Christians. Being a total Christian in the modern nation-state is not as easy as some would think. If one reads the words of Luther about the Mass, the Pope and the Sacraments we should take his words seriously. He dispised many things Catholic. He dispised the Jews. So, what part of Luther’s words has the current Lutheran hierarchy renounced? Zero, nada. Celebrate Luther’s revolution? I think not. Criticizing Luther is not in the DNA of this Cardinal or the bishop or Rome. They will never defend the Faith. The pope and his lieutenants will compromise on anything and everything. I’m wondering what’s the difference between being Catholic, Protestant (BTW they are called “Protestants” not “Reformist”), Pentecostals, etc. Kindly ask this Cardinal Koch and publish his answer. Thank you. Even better, the commemoration reminded us of the serious errors of Protestantism.